We studied this book for ‘A’ level English Literature many years ago, and I still remember my English teacher raving about it. His observation was that every time you read the book you come across something you missed previously because it is full of imagery and symbolism. I agree with him. I have read the book several times now and periodically return to it every few years. The one disappointment for me is that it has a tragic ending. I had never heard of Janice Young-Brooks, an American author, before I read this book and, from what I recall, I think I just stumbled on the book by chance. I had heard that the 1980s TV series ‘Tenko’ was based on this book, which tells the story of a group of women taken prisoner by the Japanese during World War Two. However, as the book was published after the TV series was screened, it might well be the other way around. The appeal of the book for me lies in that classic theme of triumph over adversity. Right from the opening, when many ladies had to swim to shore after they were shipwrecked, the book had me gripped. It is a tale of resilience, bravery and resourcefulness, and it is amazing how dire situations can soon become accepted as the norm even by those used to a life of privilege. I enjoyed the book so much that I got hold of other books by the same author and read every one of them. Unfortunately though, I didn’t find any of them as enjoyable. I also like to explore different genres but there are a couple of genres in particular that I always come back to. These genres appeal to me at various times; sometimes I’ll fancy reading a good thriller and at other times I want to lose myself in a saga, especially a tale of triumph over adversity or rags to riches. Some cynics may say that this type of book always ends the same i.e. the heroine wins through in the end. In fact, my son enjoys teasing me about my love of sagas. My mother in law also enjoyed sagas and when my son teased her about their predictability, she replied, “It’s not about where the heroine ends up in her life, but what she went through to get there.” Well said! 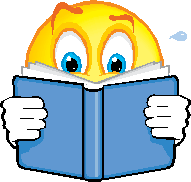 I think that I have read virtually everything written by Geoffrey Deaver, Nicci French, Minette Walters and Val McDermid. The first time I ever read a book by Geoffrey Deaver I just couldn’t put it down. He’s brilliant at building up the tension and suspense. Minette Walters is another great writer and one of my favourite Minette Walters books was ‘Acid Row’, another one that I couldn’t put down. Nicci French is actually the name used by a husband and wife team who write together. Their real names are Nicci Gerard and Sean French, a couple of Oxford graduates who also write individually. I haven’t tried any of their individual books yet but I’ve read most of the ones that they have written as a duo. They are excellent at psychological thrillers. Val McDermid has also written many good books, some of which have been adapted for television. I can honestly say that I don’t think I have ever read a bad book by her. When I go on holiday to Spain there are a few English second-hand book stores in the town where we stay, and I love to rummage through for what I call my ‘granny books’. I can really lose myself in a good old rags to riches story whilst chilling on my sunbed – total relaxation! There are so many well-known authors that write for this genre; Catherine Cookson, Meg Hutchinson, Anna King etc. My favourite by far though is Sara Fraser who wrote the Tildy series. Surprisingly the writer is actually a man; Sara Fraser is the pen-name for Roy Clews, a former Marine Commando. The Tildy series recounts the struggles of Tildy, a strong, resilient woman who survives a life of hardship during 19th century Britain. Clews does an excellent job of writing from a woman’s perspective; perhaps the male touch is the reason why the character he has created is so tough. 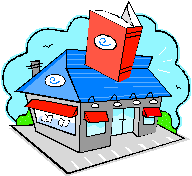 I am also discovering a wealth of new books by independent authors. The beauty of these books is that there is so much diversity and they are introducing me to a wide range of genres and cross-genres. In the last few months I have read chic-lit, thrillers (both from a male and female perspective), a Western, literary novels, comedies, true life accounts and non-fiction. I hope you have enjoyed finding out about my reading habits; I’d love to hear about yours too. What type of books do you like to read and why? Do you have any favourite genres or authors? Please feel free to share your views by leaving your comments below. What’s a Holiday without a Good Book? One of the great pleasures on holiday for me is to be able to read, read and read. I don’t get the chance to read as much as I’d like to at home. This is partly because of lack of time but also due partly to a bit of a self-confessed TV addiction in the evenings. Therefore holidays give me a great opportunity to enjoy a few good books. Not that that’s the only pleasure that I indulge in on holiday, but as this is essentially a writing blog we’ll skip the other indulgences for now. Books about ghosts and spirits don’t usually appeal to me but I thought I’d give this one a whirl. Having already started this book pre-holiday, I am finding it really enjoyable. The book is so well written that it is convincing even to a sceptic like me. On taking a peek at the acknowledgements at the back of the book I note that the author has done a lot of research and this has obviously paid off. Aside from the subject matter, the book is essentially a love story and a very enjoyable one. I had previously read The Lovely Bones by Alice Sebold (also on the subject of life after death) and wasn’t overly impressed. 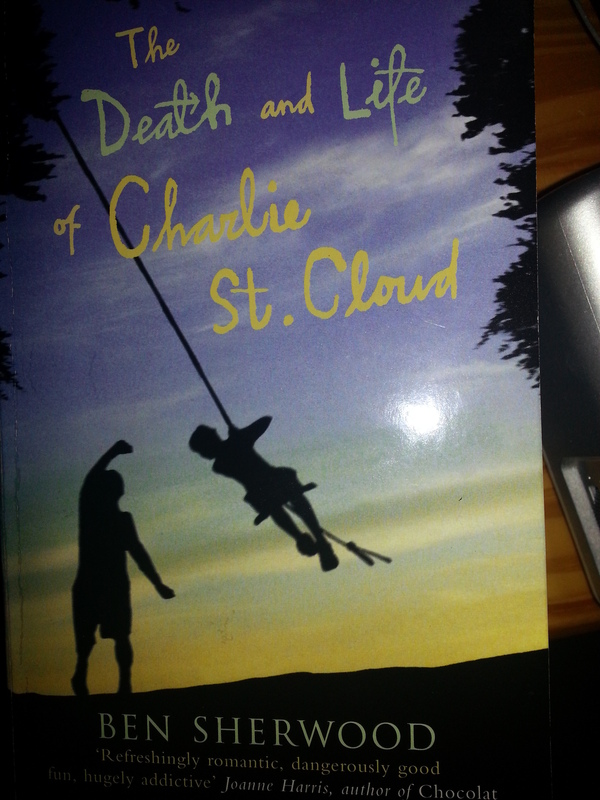 In my opinion The Life and Death of Charlie St Cloud is a much better book. 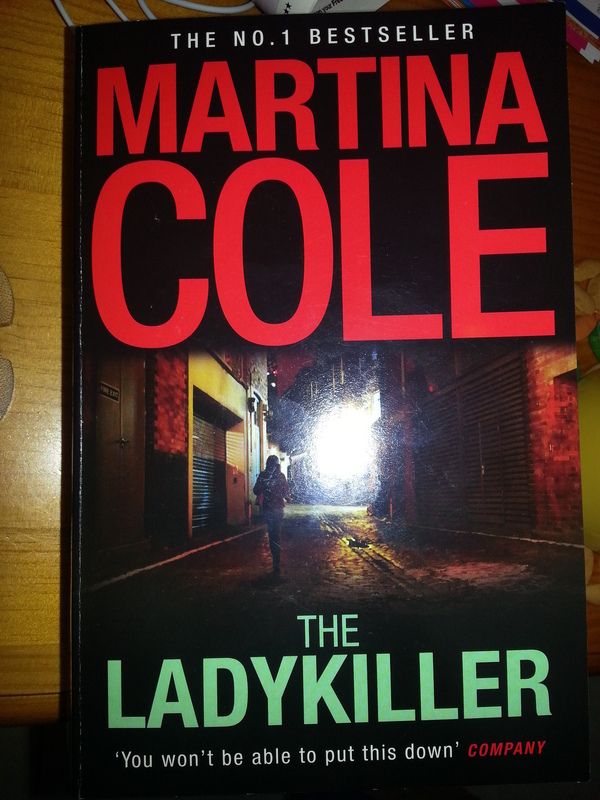 I’ve read a few books by Martina Cole in the past and I’ve found some better than others. However, for me she is an inspiring author and I intend to read more of her books in the future. When I was at Stockport Book Fare recently I found a stall with an excellent selection of books by Martina Cole. I was deliberating over which one to try next when the stall holder insisted that I should choose The Ladykiller. Apparently it is one of the best books he has read in a long time so this one comes highly recommended and I can’t wait to start it. At over 700 pages I think it will keep me well occupied during my holiday. I have to confess to my penchant for the occasional celeb autobiography although I probably wouldn’t touch anything by anyone under the age of 25. I’m afraid that in my opinion if you’re going to write about life then you need to have lived a bit first. 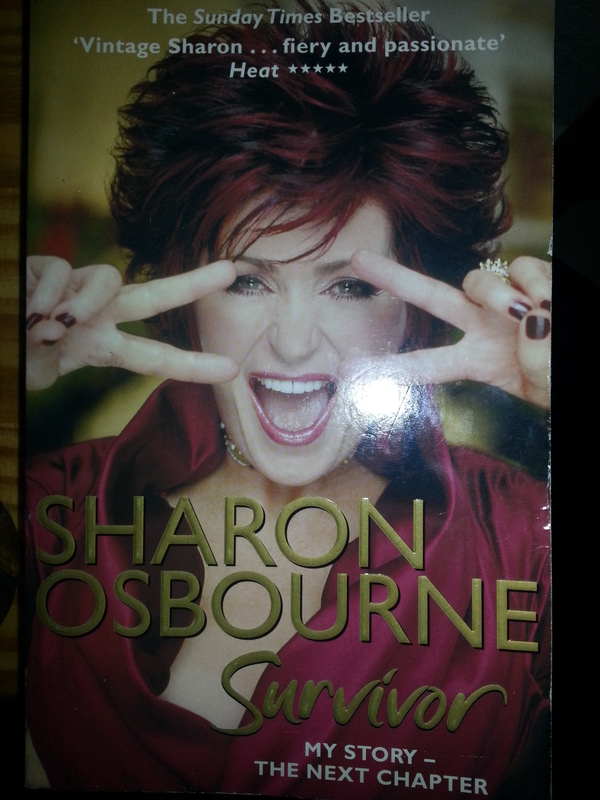 Sharon Osbourne has certainly had a more eventful life than most. I also enjoy finding out what goes on behind the TV screen. So, all in all, it should make for an interesting read if I can squeeze it in after the gigantic Martina Cole book. My only reservation is that it’s one of several so I’ll probably have to buy the previous books if I want to find out more about her earlier life. What books would you choose to take on holiday, and why, or do you normally not bother with reading on holiday? Feel free to let me have your feedback in the comments area below. If you would like my verdict on any of these books once I’ve finished them, please let me know; I’ll be happy to share my thoughts.